Has your carpet outlived its years, has it surpassed all carpet repairs possible and survived too many carpet damages that now there’s more floor than there is carpet? Then it’s time you got yourself a new carpet. 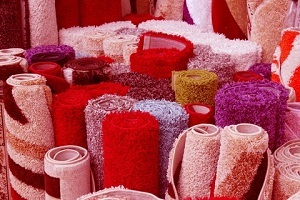 Finding a new yet affordable carpet doesn’t have to be a hassle or a chore either, there is a dynamic variety of carpets you can buy at a bargain of a price. All you need is to identify the texture, fabric or shade that matches your taste and style in carpets and Curlys carpet repair will do the rest for you. Replacing your old carpet is that easy and with Vancouver’s carpet replacement options offering such an amazing variety to choose from, it’s also fun too. So don’t be burdened by your worn out carpet, get a brand new carpet installed at an affordable price. All you have to do is pick the carpet of your choice and Curlys carpet repair will deliver and install it for you. In Vancouver carpet replacement is just that easy.